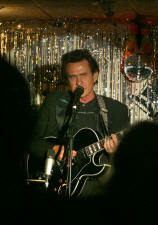 Chosen the Best Johnny Cash in the United States by the Judges of the NBC television show the Next Best Thing. 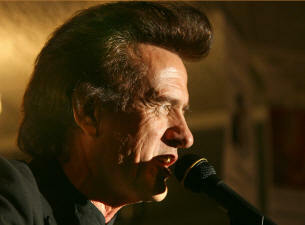 The only Johnny Cash Impersonator asked to the Finals. 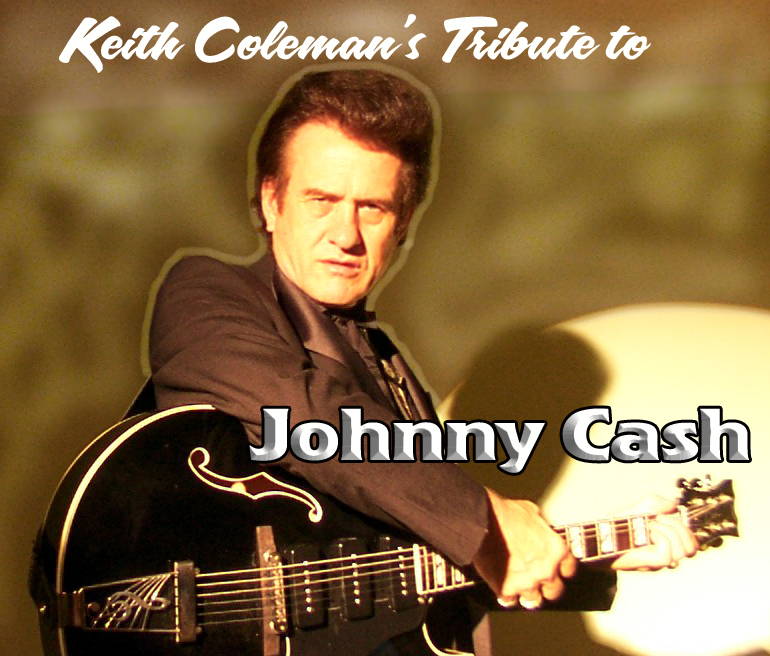 "Possibly the most talented vocal impressionist Ever"
Keith Coleman's Tribute to Johnny Cash is as close as you will ever get to spending the evening at a Johnny Cash Concert. His uncanny resemblance to Johnny Cash and attention to the detail of Cash's mannerisms is brilliant. Keith Coleman has performed his tribute to Johnny Cash throughout the United States, Canada, Mexico, and Europe. 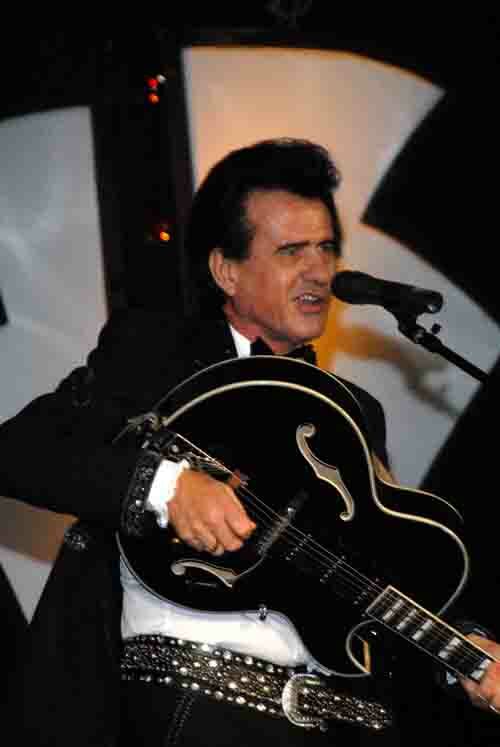 He not only naturally looks like the Man in Black but his vocal impression of Cash is nothing short of amazing. 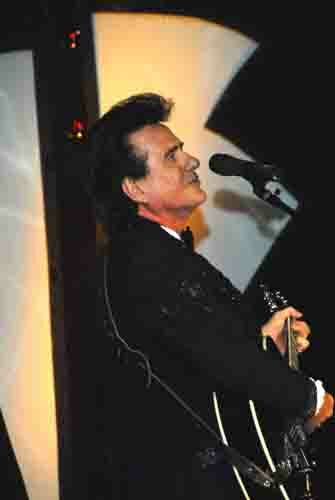 Keith has performed for over 25 years with the Las Vegas Revue Show. 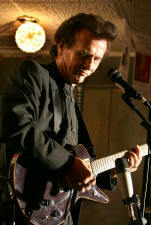 He has also performed with the Hollywood On Tour group through out the United States. This is truly a show and not just a 45 minute vocal impression. When the night is over you will actually feel like you have spent the evening with Johnny Cash. 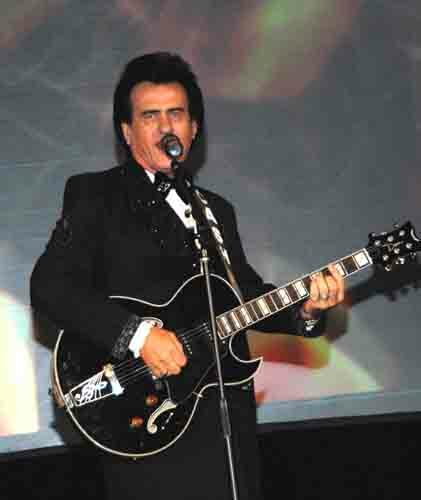 Keith is an experienced impersonator having done an impersonation of Elvis Presley throughout the United States and Europe. 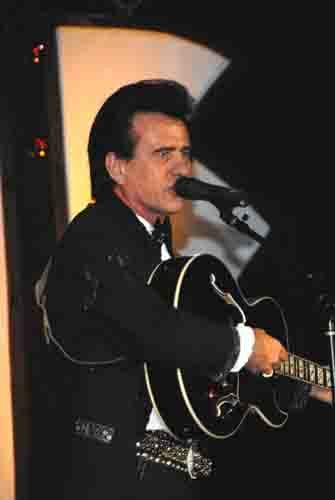 Keith also performed as Neil Diamond with the Hollywood On Tour group in Florida. 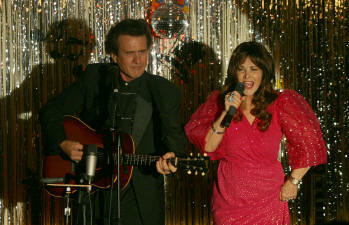 Keith's Partner, Ruby Tuesday adds to the show with her impersonation of June Carter. Together they bring the dynamic Duo to life with a fever that is second to none. Keith and Ruby also have a dance band called the K and R Express that performs throughout the Tampa Bay area and Florida. Keith Coleman and Ruby Tuesday just recently completed a 2 week concert run at Goodtimes Theatre in Bearcreek Farms Country Resort in Bryant Indiana. The Goodtimes theatre is an 800 seat Branson style show room. Keith and Ruby performed their Life an Times of Johnny Cash show. This is a 90 minute tribute to Johnny and June. It is a unique show as it is narrated by June and tells their story from her perspective. It was a great success and the show has been booked back for next season. Cash, a devout but troubled Christian, has been characterized "as a lens through which to view American contradictions and challenges." A Biblical scholar, he penned a Christian novel entitled Man In White, and he made a spoken word recording of the entire New King James Version of the New Testament. Even so, Cash declared that he was "the biggest sinner of them all", and viewed himself overall as a complicated and contradictory man. 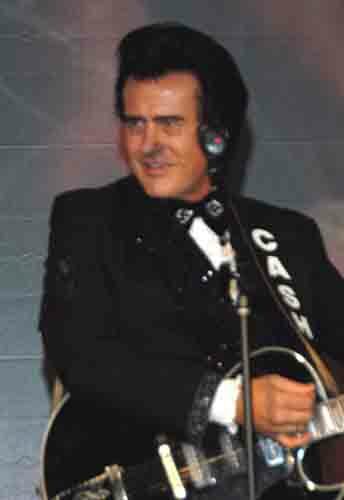 Accordingly, Cash is said to have "contained multitudes", and has been deemed "the philosopher-prince of American country music". In 1954, Cash and Vivian moved to Memphis, Tennessee, where he sold appliances while studying to be a radio announcer. At night he played with guitarist Luther Perkins and bassist Marshall Grant. Perkins and Grant were known as the Tennessee Two. 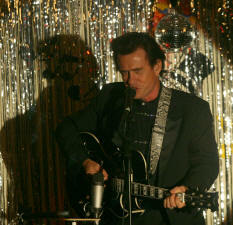 Cash worked up the courage to visit the Sun Records studio, hoping to get a recording contract. 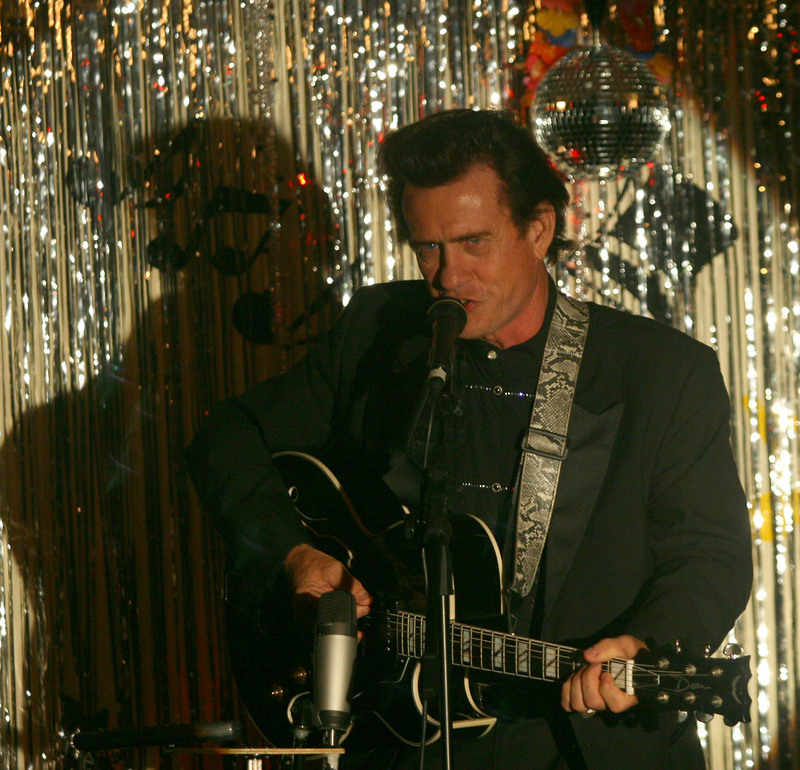 After auditioning for Sam Phillips, singing mostly gospel songs, Phillips told him that gospel was unmarketable. It was once rumored that Phillips told Cash to "go home and sin, then come back with a song I can sell," though Cash refuted that Phillips made any such comment in a 2002 interview. Cash eventually won over the producer with new songs delivered in his early frenetic style. His first recordings at Sun, "Hey Porter" and "Cry! Cry! Cry! ", were released in 1955 and met with reasonable success on the country hit parade. On December 4, 1956, Elvis Presley dropped in on studio owner Sam Phillips to pay a social visit while Carl Perkins was in the studio cutting new tracks, with Jerry Lee Lewis backing him on piano. Cash was also in the studio and the four started an impromptu jam session. Phillips left the tapes running and the recordings, almost half of which were gospel songs, survived and have since been released under the title Million Dollar Quartet. 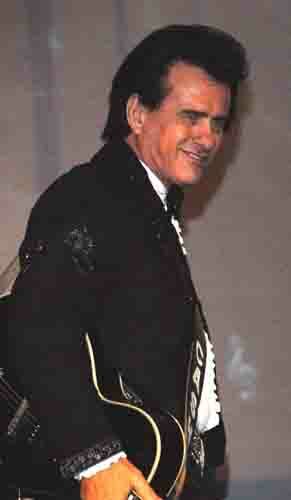 Cash's next record, "Folsom Prison Blues", made the country Top 5, and "I Walk the Line" became No. 1 on the country charts and entered the pop charts Top 20. "Home of the Blues" followed, recorded in July 1957. That same year Cash became the first Sun artist to release a long-playing album. Although he was Sun's most consistently best-selling and prolific artist at that time, Cash felt constrained by his contract with the small label. Presley had already left Sun, and Phillips was focusing most of his attention and promotion on Lewis. The following year Cash left the label to sign a lucrative offer with Columbia Records, where his single "Don't Take Your Guns to Town" became one of his biggest hits. In the early 1960s, Cash toured with the Carter Family, which by this time regularly included Mother Maybelle's daughters, Anita, June and Helen. June, whom Cash would eventually marry, later recalled admiring him from afar during these tours. In the 1960s he appeared on Pete Seeger's short lived Rainbow Quest. He also acted in a 1961 film entitled Five Minutes to Live, later re-released as Door-to-door Maniac. He also wrote and sang the opening theme. In June 1965, his truck caught fire due to an overheated wheel bearing, triggering a forest fire that burned several hundred acres in Los Padres National Forest in California. When the judge asked Cash why he did it, Cash said, "I didn't do it, my truck did, and it's dead, so you can't question it." The fire destroyed 508 acres (2.06 km2), burning the foliage off three mountains and killing 49 of the refuge's 53 endangered condors. Cash was unrepentant: "I don't care about your damn yellow buzzards." The federal government sued him and was awarded $125,172 ($863,091 in current dollar terms). Cash eventually settled the case and paid $82,001. He said he was the only person ever sued by the government for starting a forest fire. Johnny Cash's final arrest was in Walker County, GA where he was taken in after being involved in a car accident while carrying a bag of prescription pills. Cash attempted to bribe a local deputy, who turned the money down, and then spent the night in a LaFayette, GA jail. The singer was released after a long talk with Sheriff Ralph Jones, who warned him of his dangerous behavior and wasted potential. Johnny credited that experience for saving his life, and he later came back to LaFayette to play a benefit concert that attracted 12,000 people (the city population was less than 9,000 at the time) and raised $75,000 for the high school. Cash quit using drugs in 1968, after a spiritual epiphany in the Nickajack Cave, when he attempted to commit suicide while under the heavy influence of drugs. He descended deeper into the cave, trying to lose himself and "just die", when he passed out on the floor. He reported to be exhausted and feeling at the end of his rope when he felt God's presence in his heart and managed to struggle out of the cave (despite the exhaustion) by following a faint light and slight breeze. To him, it was his own rebirth. June, Maybelle, and Ezra Carter moved into Cash's mansion for a month to help him conquer his addiction. Cash proposed onstage to June at a concert at the London Gardens in London, Ontario, Canada on February 22, 1968; the couple married a week later (on March 1) in Franklin, Kentucky. June had agreed to marry Cash after he had 'cleaned up'. He rediscovered his Christian faith, taking an "altar call" in Evangel Temple, a small church in the Nashville area, pastored by Rev. Jimmy Rodgers Snow, son of country music legend Hank Snow. Cash chose this church over many larger celebrity churches in the Nashville area because he said that there he was treated like just another parishioner and not a celebrity. Cash felt great compassion for prisoners. He began performing concerts at various prisons starting in the late 1950s.His first ever prison concert was held on January 1, 1958 at San Quentin State Prison. These performances led to a pair of highly successful live albums, Johnny Cash at Folsom Prison (1968) and Johnny Cash at San Quentin (1969). In addition to his performances at U.S. prisons, Cash also performed at the Österåker Prison in Sweden in 1972. The live album På Österåker ("At Österåker") was released in 1973. Between the songs, Cash can be heard speaking Swedish, which was greatly appreciated by the inmates. "The Man in Black"
Cash advocated prison reform at his July 1972 meeting with United States President Richard Nixon. 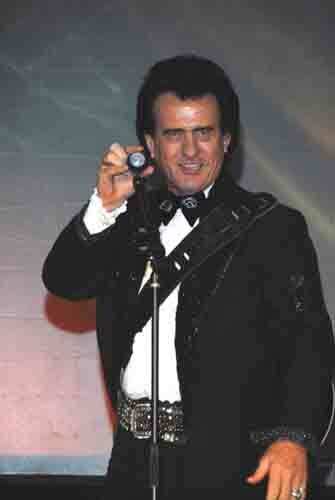 By the early 1970s, he had crystallized his public image as "The Man in Black". He regularly performed dressed all in black, wearing a long black knee-length coat. This outfit stood in contrast to the costumes worn by most of the major country acts in his day: rhinestone suit and cowboy boots. In 1971, Cash wrote the song "Man in Black", to help explain his dress code: "We're doing mighty fine I do suppose / In our streak of lightning cars and fancy clothes / But just so we're reminded of the ones who are held back / Up front there ought to be a man in black." He wore black on behalf of the poor and hungry, on behalf of "the prisoner who has long paid for his crime", and on behalf of those who have been betrayed by age or drugs. "And," Cash added, "with the Vietnam War as painful in my mind as it was in most other Americans', I wore it 'in mournin' for the lives that could have been.' ... Apart from the Vietnam War being over, I don't see much reason to change my position ... The old are still neglected, the poor are still poor, the young are still dying before their time, and we're not making many moves to make things right. There's still plenty of darkness to carry off." He and his band had initially worn black shirts because that was the only matching color they had among their various outfits. He wore other colors on stage early in his career, but he claimed to like wearing black both on and off stage. He stated that, political reasons aside, he simply liked black as his on-stage color. To this day, the United States Navy's winter blue service uniform is referred to by sailors as "Johnny Cashes", as the uniform's shirt, tie, and trousers are solid black. In the mid 1970s, Cash's popularity and number of hit songs began to decline, but his autobiography (the first of two), titled Man in Black, was published in 1975 and sold 1.3 million copies. A second, Cash: The Autobiography, appeared in 1997. His friendship with Billy Graham led to the production of a film about the life of Jesus, The Gospel Road, which Cash co-wrote and narrated. He also continued to appear on television, hosting an annual Christmas special on CBS throughout the 1970s. Later television appearances included a role in an episode of Columbo (Swan Song). He also appeared with his wife on an episode of Little House on the Prairie entitled "The Collection" and gave a performance as John Brown in the 1985 American Civil War television mini-series North and South. He had a returning role as Kid Cole on the CBS series Dr. Quinn Medicine Woman in the mid-1990s. When invited to perform at the White House for the first time in 1972, Richard Nixon's office requested that he play "Okie from Muskogee" (a satirical Merle Haggard song about people who despised youthful drug users and war protesters) and "Welfare Cadillac" (a Guy Drake song which denies the integrity of welfare recipients). Cash declined to play either and instead selected other songs, including "The Ballad of Ira Hayes" (about a brave Native-American World War II veteran who was mistreated upon his return to Arizona), and his own compositions, "What is Truth?" and "Man in Black". Cash wrote that the reasons for denying Nixon's song choices were not knowing them and having fairly short notice to rehearse them, rather than any political reason. However, Cash added, even if Nixon's office had given Cash enough time to learn and rehearse the songs, their choice of pieces that conveyed "antihippie and antiblack" sentiments might have backfired. In 1986, Cash returned to Sun Studios in Memphis to team up with Roy Orbison, Jerry Lee Lewis, and Carl Perkins to create the album Class of '55. Also in 1986, Cash published his only novel, Man in White, a book about Saul and his conversion to become the Apostle Paul. He also recorded Johnny Cash Reads The Complete New Testament in 1990. Under Rubin's supervision, he recorded the album American Recordings (1994) in his living room, accompanied only by his guitar. That guitar was a Martin dreadnought guitar – one of many Cash played throughout his career. The album featured several covers of contemporary artists selected by Rubin and had much critical and commercial success, winning a Grammy for Best Contemporary Folk Album. 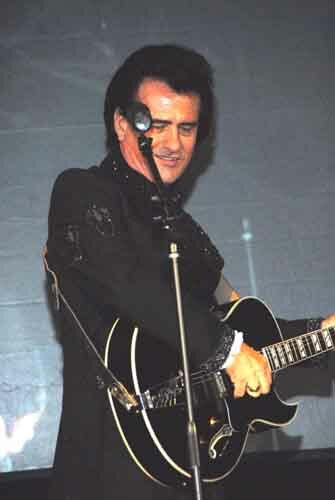 Cash wrote that his reception at the 1994 Glastonbury Festival was one of the highlights of his career. This was the beginning of a decade of music industry accolades and surprising commercial success. Cash and his wife appeared on a number of episodes of the popular television series Dr. Quinn, Medicine Woman starring Jane Seymour. The actress thought so highly of Cash that she later named one of her twin sons after him. He lent his voice for a cartoon cameo in an episode of The Simpsons, with his voice as that of a coyote that guides Homer on a spiritual quest. In 1996, Cash enlisted the accompaniment of Tom Petty and the Heartbreakers and released a sequel to American Recordings, Unchained, which won a Grammy for Best Country Album. Cash, believing he did not explain enough of himself in his 1975 autobiography Man in Black, wrote another autobiography in 1997 entitled Cash: The Autobiography. In 1997, Cash was diagnosed with the neurodegenerative disease Shy-Drager syndrome, a form of Parkinson's disease. The diagnosis was later altered to autonomic neuropathy associated with diabetes. This illness forced Cash to curtail his touring. He was hospitalized in 1998 with severe pneumonia, which damaged his lungs. The albums American III: Solitary Man (2000) and American IV: The Man Comes Around (2002) contained Cash's response to his illness in the form of songs of a slightly more somber tone than the first two American albums. The video that was released for "Hurt", a cover of the song by Nine Inch Nails, fits Cash's view of his past and feelings of regret. The video for the song, from American IV, is now generally recognized as "his epitaph," and received particular critical and popular acclaim. The spirit of June Carter overshadows me tonight with the love she had for me and the love I have for her. We connect somewhere between here and heaven. She came down for a short visit, I guess, from heaven to visit with me tonight to give me courage and inspiration like she always has. Cash died of complications from diabetes less than four months after his wife, at 2:00 a.m. CT on September 12, 2003, while hospitalized at Baptist Hospital in Nashville. He was buried next to his wife in Hendersonville Memory Gardens near his home in Hendersonville, Tennessee. His stepdaughter, Rosie (Nix) Adams and another passenger were found dead on a bus in Montgomery County, Tennessee, on October 24, 2003. It was speculated that the deaths may have been caused by carbon monoxide from the lanterns in the bus. Adams was 45 when she died. She was buried in the Hendersonville Memory Gardens, near her mother and stepfather. 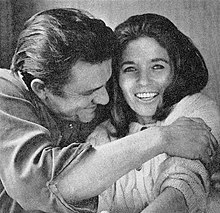 On May 24, 2005, Vivian Liberto, Cash's first wife and the mother of Rosanne Cash and three other daughters, died from surgery to remove lung cancer at the age of 71. 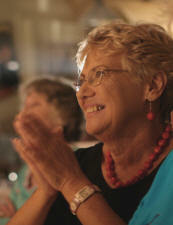 It was her daughter Rosanne's 50th birthday. One of Cash's final collaborations with producer Rick Rubin, entitled American V: A Hundred Highways, was released posthumously on July 4, 2006. The album debuted in the #1 position on the Billboard Top 200 album chart for the week ending July 22, 2006. On February 26, 2010, what would have been Cash's 78th birthday, the Cash Family, Rick Rubin, and Lost Highway Records released his second posthumous record, entitled American VI: Ain't No Grave. Cash nurtured and defended artists on the fringes of what was acceptable in country music even while serving as the country music establishment's most visible symbol. At an all-star TNT concert in 1999, a diverse group of artists paid him tribute, including Bob Dylan, Chris Isaak, Wyclef Jean, Norah Jones, Kris Kristofferson, Willie Nelson, Dom DeLuise and U2. Cash himself appeared at the end and performed for the first time in more than a year. Two tribute albums were released shortly before his death; Kindred Spirits contains works from established artists, while Dressed in Black contains works from many lesser-known artists. In total, he wrote over 1,000 songs and released dozens of albums. A box set titled Unearthed was issued posthumously. It included four CDs of unreleased material recorded with Rubin as well as a Best of Cash on American retrospective CD. In recognition of his lifelong support of SOS Children's Villages, his family invited friends and fans to donate to that charity in his memory. He had a personal link with the SOS village in Diessen, at the Ammersee Lake in Southern Germany, near where he was stationed as a GI, and also with the SOS village in Barrett Town, by Montego Bay, near his holiday home in Jamaica. 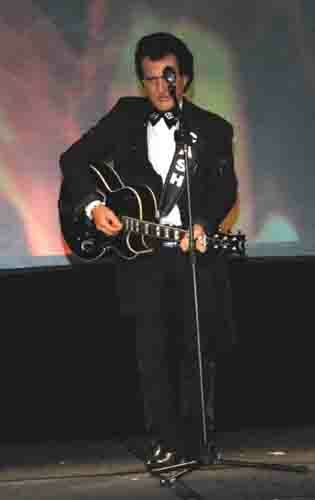 The Johnny Cash Memorial Fund was founded. The Johnny Cash Museum is located in Hendersonville, Tennessee. 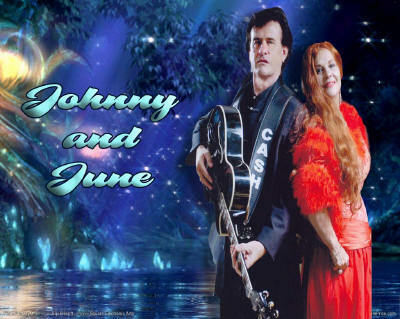 On November 2–4, 2007, the Johnny Cash Flower Pickin' Festival was held in Starkville, Mississippi. Starkville, where Cash was arrested over 40 years earlier and held overnight at the city jail on May 11, 1965, inspired Cash to write the song "Starkville City Jail". The festival, where he was offered a symbolic posthumous pardon, honored Cash's life and music, and was expected to become an annual event. JC Unit One, Johnny Cash's private tour bus from 1980 until 2003, was put on exhibit at the Rock and Roll Hall of Fame + Museum in 2007. The Cleveland, Ohio museum offers public tours of the bus on a seasonal basis (it is stored during the winter months and not exhibited during those times). games, gifts, paper goods, recipes and more !